Proper sample collection is crucial for proper interpretation of results. Collect a number of smaller samples to form a large composite sample that is representative of the field, cutting, or batch. If different regions of the field were treated differently, then separate composite samples should be submitted for each of the different regions. At least a pound of total composite sample should be submitted. 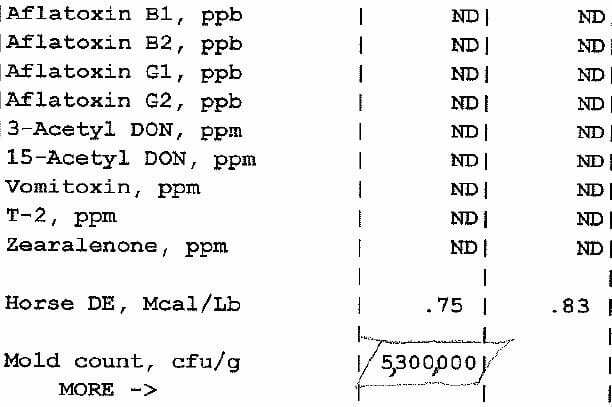 The sample represents a large amount of feed so it is critical that the sample is representative of the whole. More sample is always better than too little, so when in doubt, collect more. 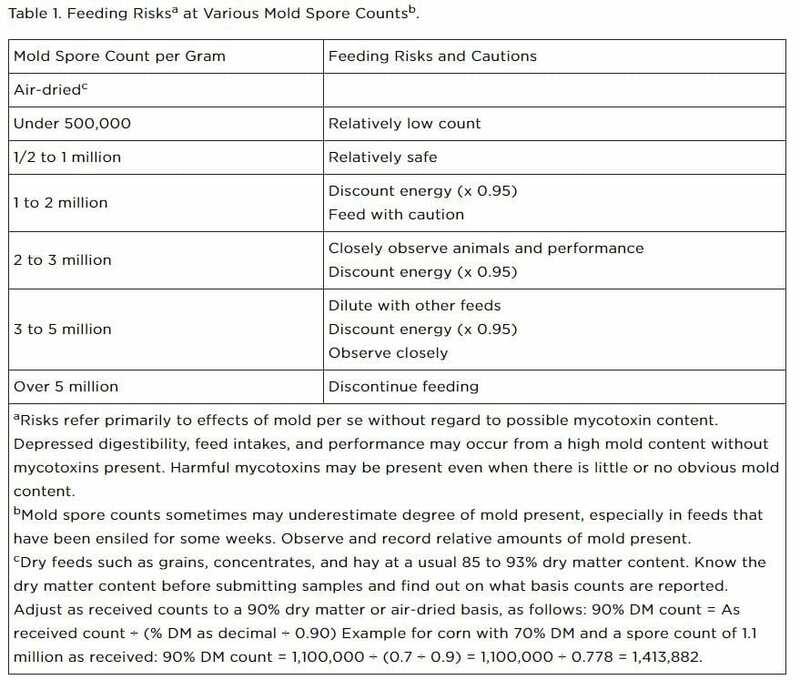 Fungal growth could continue during storage increasing mycotoxin levels over time so retesting may be necessary. Be sure to mark each bag legibly with forage/sample type and identification information. See http://vdl.uky.edu/LaboratoryServices/Sections/Toxicology/Feedsandforagesspecimencollectionguidelines.aspx for more information on proper sample collection of feeds and forages. Posted by Smith at 5:10am December 11, 2018 Posted in Health, Nutrition. Bookmark the permalink.